First Screenshots of BlackBerry 6 on a Bold 9650! 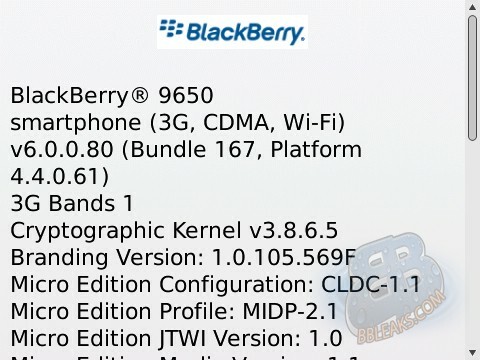 For anyone that may have doubted that they would see BlackBerry 6 aka OS 6.0 for their beloved Bold 9650, you are in luck. 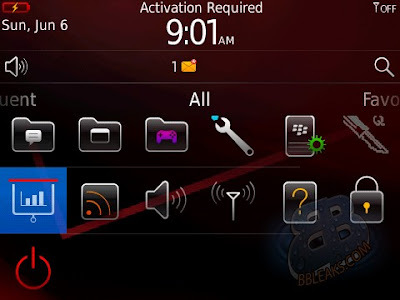 Here are the first screenshots of OS 6 taken from a living, breathing Bold 9650. As you may know, the Bold 9650 has 512MB flash RAM, which seems it may be the minimum requirements to run OS 6. In a recent video showing the 9800 Slider and screenshots of the Bold 9780, we see that OS 6.0 takes up about 260MB of memory. Things aren’t looking too good for devices with only 256MB RAM. It will be interesting to see what else we might find in the future, make sure you keep checking back. Bold 9650 users are you getting excited? Those who don’t own a 9650, is it looking more enticing?